Serafimov Dental Cosmetic and Family Dentistry provides superior dental care for the entire family. Our practice is a one-stop shop for all your dental needs. 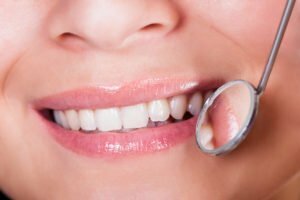 Whether you need a smile makeover or a full mouth reconstruction, your St. Paul dentist and his talented team have the skills and experience to give you a healthy, happy smile. Dr. Serafimov stresses the importance of preventive care and regular dental appointments to healthy teeth and gums. We offer professional teeth cleaning, gum analysis, bite evaluation, oral cancer screening, digital X-rays for safe and accurate diagnosis, and cavity prevention with dental sealants and fluoride treatments. Cosmetic bonding is the application of resin material to the tooth’s surface to repair cracks, chips, and stains. Like porcelain veneers, bonding material hides flaws effectively and changes the tooth’s shape, size, and appearance. If you want a quick, affordable smile touchup, see your Twin Cities dentist for dental bonding procedure. Unlike veneers that require significant enamel removal, preparation is not necessary for cosmetic bonding. Local anesthetic is also not needed unless the resin is being used to fill a decayed tooth. Porcelain Veneers usually take multiple appointments to complete, while teeth bonding can be done in about 30 minutes to one hour. The first step is the consultation and evaluation, where Dr. Serafimov will determine if bonding is the right solution. Dental Bonding is often recommended for fixing tiny cosmetic issues. Porcelain veneers and restorations may be more appropriate for bigger problems. Your dentist will then use a shade guide to select the color of the bonding material. Our meticulous color-matching process ensures that the bonded tooth blends seamlessly with the rest of your teeth. Your dentist will roughen the surface of the tooth and apply conditioning liquid. The resin is then applied, molded, and hardened with a special light. Finally, the resin is trimmed and polished. Find out if cosmetic dental bonding is right for you. Call 651-455-1601 or schedule a consultation with your dentist in St. Paul.